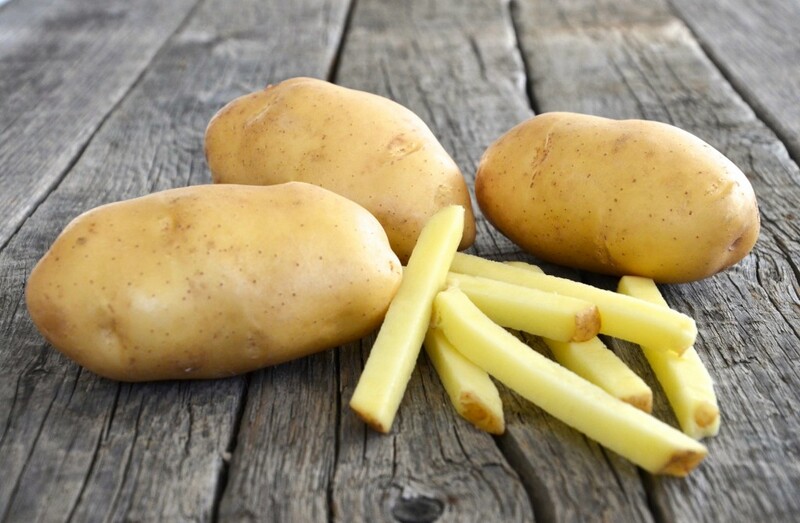 Fontane is a very high yielding processing variety suitable for production of French fries. This yellow skinned, and pale yellow fleshed variety produces large, oval to long oval tubers with shallow eyes. It has a long dormancy and maintains low sugars even after long term storage. Fontane is a second early main crop variety. - adequate application of nitrogen and potassium is required to minimize Black Spot bruising. - Fontane can also be used for production of mashed, flakes and chips. - has good resistance to powdery scab.